The popularity of fluorescent lamps and compact fluorescent lamps (CFLs) is steadily growing in the industrial, commercial, and residential markets, due to their sustainability, energy efficiency, and federal legislation effectively eliminating the manufacture of incandescent bulbs by 2014. However, they can also be potentially dangerous because of their mercury content. Exposure to mercury vapor, like that found in fluorescent lamps, can be detrimental to handlers’ health — from those involved with handling new bulbs to people storing, packaging, and shipping used lamps. It is important to take the necessary precautions when handling, storing, or transporting used or broken lamps to protect against any potential harm from released mercury vapor. On average, CFLs and fluorescent lamps contain about 4 milligrams of mercury. Breaking a single bulb can release mercury vapor levels well in excess of the Occupational Safety and Health Administration’s (OSHA) eight-hour permissible exposure limit (PEL) level of 100 micrograms per cubic meter (ug/m3). Mercury vapor can continue to be emitted for weeks after the bulb has been broken. The fragile and light construction of the bulbs multiplies the opportunities for breakage during storage, transport to and from collection sites and shipping to a recycler, causing handlers to be at risk of mercury exposure. Exposure to mercury vapor results from inhalation or skin absorption, and can cause neurological damage to adults, children, and fetuses. It is considered a persistent bioaccumulative toxic chemical as it does not degrade in the environment. Further, mercury poisoning can cause severe kidney damage, and acute exposure can affect the respiratory and gastrointestinal systems. Organic mercury can cross the blood-brain barrier and cause irreversible nervous system and brain damage. Recent efforts to protect consumers and handlers against the inherent dangers of mercury vapor exposure from broken lamps have centered around containing the mercury vapor in the storage and shipping container. However, this method does not protect against vapor exposure if the container is opened with broken lamps inside. New developments in adsorbent technology demonstrate a method to actually capture the mercury vapor within the container, mitigating the risks of vapor exposure. 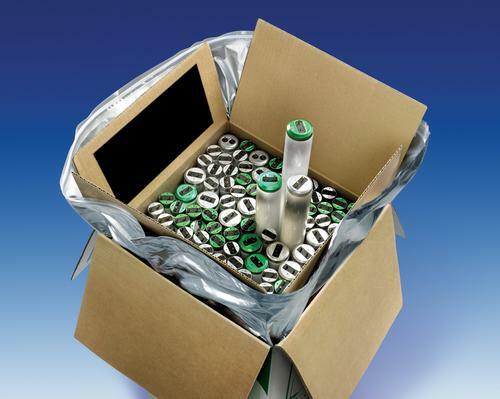 A study by NUCON International Inc., which provides gas, vapor, and liquid phase adsorption solutions for mercury and other contaminants to the nuclear and other industries, found that within the packaging, if 40 lamps break, vapor levels can range anywhere from 15,000 to 30,000 ug/m3. These levels are more than 150 to 300 times OSHA’s eight-hour PEL, confirming the need to develop an adsorbent technology that can capture this vapor before it can escape the package.